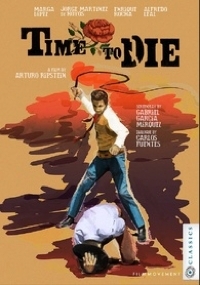 The cover of Time to Die (Tiempo de morir) makes it look like a telenovela—the kind satirized in the popular TV series Jane the Virgin. 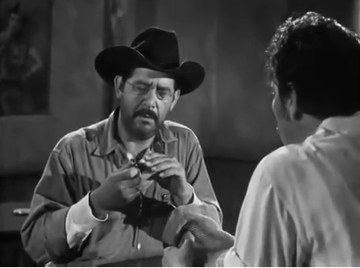 But this film by legendary Mexican director Arturo Ripstein has more in common with classic, tense psychological Westerns like High Noon and the original 3:10 to Yuma. It’s an intelligently written drama that holds your attention from start to finish—no surprise, really, if you consider that the screenplay is by Nobel laureate Gabriel Garcia Marquez, with additional dialogue courtesy of another Nobel laureate, Carlos Fuentes. If Time to Die wasn’t a Spanish language film with English subtitles, it would probably appear on lists of Best Westerns (top movies, that is—not the hotel chain). Like High Noon and 3:10 to Yuma, this Western moves at a slower pace than is typical of the genre, with tension, not nonstop shoot-‘em-up action, the single most reason for the film’s success. That pacing also makes it an ideal film for families with junior high or high school age children who are studying Spanish in school. Timothy Woodward Jr. grew up loving Hollywood Westerns, and now he’s living the dream—he’s directing them. And he’s getting better. 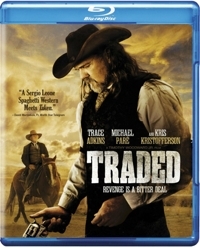 Woodward’s first effort, Traded (2016), starred music legends Kris Kristofferson and Trace Adkins, both of whom look rugged enough to play a convincing cowboy in the American Wild West of the 1870s and ‘80s. 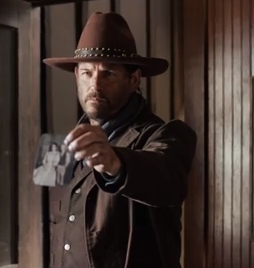 Traded was basically a Western version of Taken, and though Westerns have more clichés than cacti have needles, this one was hemorrhaging hokey dialogue, wooden characters, and silly situations. It was hard going, which is why I’m not surprised it earned only a 5.1 out of 10 at the Internet Movie Database from over 2000 audience members. At Family Home Theater we warned it was a C- at best. 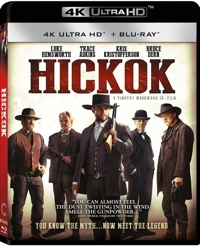 But then along comes Hickok (2017), which 600 IMDB audience members rated a 5.3. Seeing that, you’d think that the two films are comparable—but you’d be wrong. 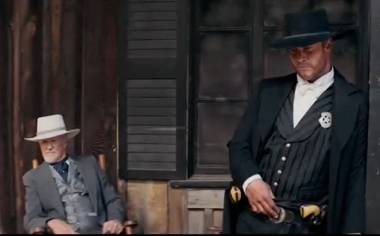 Hickok is a superior film, despite a script that fictionalizes ol’ Wild Bill so much you barely recognize him and his story. Then again, this is a Western, not a documentary, and for a Western it’s better than average. Even though Westerns aren’t as popular as they once were, especially with young viewers, you’d think a Western version of Taken might win a few new converts. And Traded might have, if the writing and acting were better. 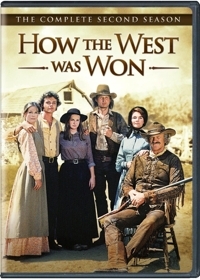 Clichés roll like tumbleweeds in this drama starring Michael Paré as a retired gunfighter now living as a rancher with a wife, an older teenage daughter named Lily (Brittany Elizabeth Williams) and a young son named Jake (Hunter Fischer). But familiarity isn’t the problem. Every Western is built on clichés. A good one makes you forget those clichés; a bad one makes those clichés stand out like the neck hair on a rabid dog. Kids need characters to identify with, and unlike Shane, you lose the boy just a half-hour into the film when he’s killed by a rattlesnake—which almost comes as a relief, because the over-the-top family wholesomeness will strike today’s families as being trying-too-hard hokey. The family in Act 1 of Traded is more like the Flanders family in The Simpsons than the wholesome-but-believable Ingalls family in Little House on the Prairie. When Lily is kidnapped by white slavers working as brothel suppliers and his wife Amelia (Constance Brenneman) has a breakdown, Clay Travis chooses to go after his daughter. That’s when you hope he also leaves the hokiness in his dust, but nope, it follows him to Wichita and then Dodge City. 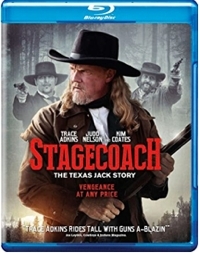 An exchange with a saloon owner (Tom Sizemore) and a face-off with a tough brothel owner (Trace Adkins) have the same kind of hokey dialogue as the opening sequences, and even the normally charismatic Kris Kristofferson can’t get past the bad writing as he plays an older bartender who provides help. 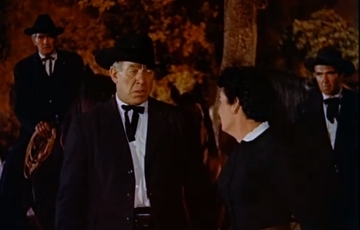 The look of Traded is authentic enough, helped considerably by location shooting in California and New Mexico and believable interior sets, but only a few moments stand out—like the scene where Travis tells a man to take his glasses off before he punches him, or when he wails on a bad dad and in so doing earns the help of the man’s teenage daughter. But scenes like those only serve to remind you that the rest of it is all pretty tedious and riddled with poor dialogue—so surface obvious that you find yourself wondering if the problem is with the lines themselves or the acting. Either way, director Timothy Woodward Jr. seems uneasily comfortable proceeding. There aren’t enough plot twists for me to talk about narrative thrust without revealing too much, but though the action picks up in the third act I found Traded hard going. The West would have been easier, I found myself thinking. And my kids? No one had to kidnap them. They left the room voluntarily after the first confrontation didn’t up the ante enough for them. 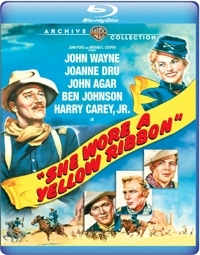 She Wore a Yellow Ribbon (1949) is the second in the so-called Cavalry Trilogy of legendary director John Ford. It’s also the only one shot in color and the last of the three to finally make it onto Blu-ray—available now from the Warner Archive Collection and at Amazon.com. 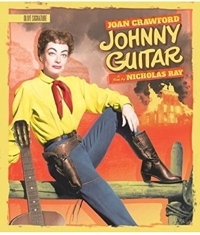 While it doesn’t offer the same psychological character study as Fort Apache (1948) or the classic first pairing of John Wayne and Maureen O’Hara moviegoers saw in Rio Grande (1950), it still features one of John Wayne’s favorite performances, and Ford’s slow-boil of a plot keeps picking up steam once the film hits the 20-minute mark. That might be a little late for a young generation of viewers coming to old Technicolor Westerns for the first time, but this film is part of America’s heritage. Like it or not, imperialist or not, America’s westward expansion put settlers in conflict with Native Americans, and it was up to the U.S. Cavalry to protect and serve. Ford obviously had a soft spot for the men in blue, but his treatment of the American West can sometimes seem contradictory. In Fort Apache he cast Henry Fonda as a stubborn commander obviously patterned after George Armstrong Custer—so much so that the commander forces his troops into a near-identical “last stand.” But in She Wore a Yellow Ribbon, a voiceover tells us that Custer and his men were just massacred and word of a massive Indian uprising was worrying even outposts in the southwest. What was treated as foolhardy in the first film is paid tribute to in the second. Ford was a stickler for authenticity, though, and you’ll marvel at shots of horses and riders and even horse-drawn wagons going over rough terrain. The backdrop is the dramatic Monument Valley, where Ford filmed at and around the Navajo reservation, insisting on employing the Navajo as extras instead of hiring whites made to look like Indians, as was still common at the time. Ford was so respectful and appreciative of the Navajo that one harsh winter he airlifted supplies at his own expense so the people and their livestock wouldn’t perish. Yet, apart from a single scene in which Wayne’s character talks with an Indian chief, the Indians get less respect this outing. The situation in She Wore a Yellow Ribbon is this: Capt. Nathan Brittles (Wayne in make-up that aged him 20 years) is counting down the days until he retires from the Cavalry. For his last mission he’s sent to try to contain a group of renegade Cheyenne and Arapaho that have joined forces and have attacked settlers in the area. 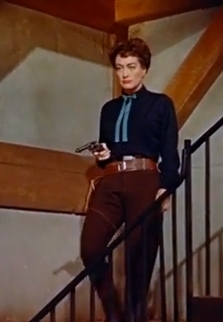 But with danger mounting, Brittles’ commanding officer also orders him to take along his wife (Mildred Natwick) and niece (Joanne Dru) in a wagon to meet the eastbound stage to safety. 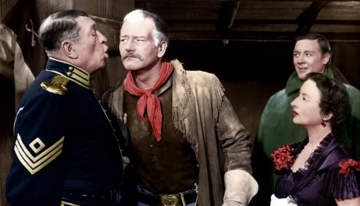 The niece, meanwhile, seems more interested in toying with the affections of two young officers—the nine-year veteran 1st Lieutenant Flint Cohill (John Agar) and the rich and relatively green 2nd Lieutenant Ross Pennell (Harry Carey, Jr.). She wears a yellow ribbon in her hair, which signifies that she has a beau in the Cavalry, but won’t say which one she’s wearing it for. The more you know about this film, the more you can appreciate it. The Monument Valley footage is stunning, especially in 1080p, and though Winton Hoch won an Oscar for his cinematography he was constantly at odds with Ford, who at one point ordered him to keep filming as a thunderstorm approached, despite Hoch’s concerns about the equipment acting as lightning rods. The West was wild, and Ford Westerns, especially those starring Wayne, have at least one character who drinks too much and a number of them who enjoy fistfights as much as drinking. In the Cavalry Trilogy it’s the highly likable Irish Sgt. Quincannon, though the equally likable Sgt. Tyree (Ben Johnson) balances the scales by not taking tobacco or alcohol. But it’s all about the soldier’s life, with an emphasis on honor and sacrifice and those comic fights that relieve the tension of serving in an outpost in the middle of nowhere. She Wore a Yellow Ribbon is sentimental and nostalgic, a paean to Cavalry life on the frontier, and yet there’s something rousing, still, when the soldiers sing the title song as they ride off for what might be the last time. And Wayne is himself an American classic, as much as Ford and Monument Valley. Those are three great reasons for watching this film, at least once. Another is to give families a chance to talk about such things as changing attitudes. In this Western, there’s great respect for opponents and people who fought for other causes. Those who rode with the grey in the Civil War are still given the same measure of respect . . . and the Confederate flag, now widely banned, was placed atop the coffin of a soldier in one scene. Add to that attitudes towards America’s treatment of the Indians and it should make for a provocative discussion. Even one of Brittles’ mottos—“Never apologize. It’s a sign of weakness”—might prompt a family debate.